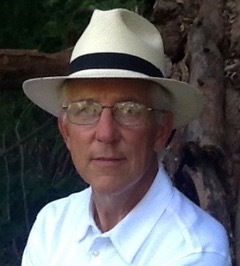 We are pleased that Dr. Michael Fisher joins the FTCLDF website as a monthly contributor. Dr. Fisher is a retired United States Department of Agriculture (USDA) Food Safety and Inspection Services (FSIS) veterinarian, bringing decades of experience enforcing FSIS regulations during the slaughter and processing of animals for which the USDA provides inspection services. Dr. Fisher is thrilled to bring you his expertise and guidance to help you navigate the regulatory compliance. His goal is for small, USDA-inspected meat processors to succeed and to understand how to best maintain compliance and reduce regulatory issues. Understanding FSIS compliance is a challenging component of farming, and oftentimes can be confusing. We are grateful for Dr. Fisher’s expertise and ability to shed light on many topics, helping us affirm our commitment to supporting small processors. Recently, a FTCLDF member had a question regarding the 20,000 exemption for poultry processing in Mississippi. Dr. Fisher provided a thoughtful, thorough response, and we thought it would be helpful to share with our readers. I have been working hard with several of our Mississippi State Senators to change the poultry laws to be more like North Carolina. 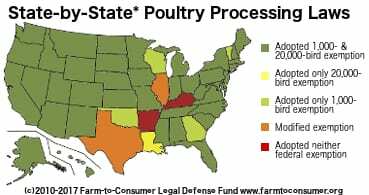 On the FTCLDF poultry map for Mississippi it shows a 20,000 exemption. As we peel the onion back, this seems to be on the surface correct. However, the State Agriculture Department did not accept the complete federal exemption as they require full inspection, facilities, etc. for 20,000 per year. Ben thought he could slaughter 20,000 birds under an exemption but was informed by his State program that he must meet full inspection requirements if he slaughtered 20,000 birds. 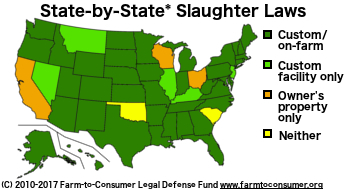 Ben’s State, like the USDA, exempts Ben from the requirement of continuous, mandatory inspection with respect to poultry of Ben’s raising, slaughtered and processed on Ben’s farm, for retail sale to consumers. The exemption is not for 20,000 birds. The exemption is for birds raised by Ben, and slaughtered by Ben, on Ben’s farm. The 20,000 number is the cap that 9 CFR 381.10(b)(1) places on the exemption. So why did the State program tell Ben that he must meet full inspection requirements if he slaughtered 20,000 birds? We checked. This is what we found. Ben’s state allows a person to slaughter and process on his/her farm poultry that he/she raised without mandatory, continuous inspection, as long as the poultry processed number is between 1,000-20,000 per calendar year. The key phrase is “between 1,000-20,000” (i.e. not less than 1,001 and not more then 19,999 birds). Under federal inspection, a qualifying exemption applies up to 20,000 birds. If Ben slaughtered 20,001 birds, the federal exemption would not apply. If Ben slaughtered 20,000 birds, the federal exemption would not apply. In Ben’s state, a qualifying exemption applies up to 19,999 birds. 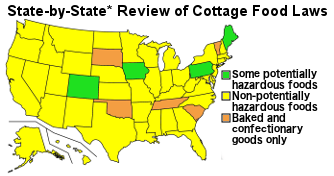 Does Ben’s state accept the complete federal exemption? No; Ben’s state applies a more restrictive exemption—one bird more restrictive. Does Ben’s state require full inspection if Ben slaughters 20,000 birds? Yes; Ben’s operation is exempt if Ben slaughters 19,999 birds, but not if Ben slaughters 20,000 birds. Did Ben’s state program intend to create a one bird difference between its state exemption and the federal exemption? Probably not, but Ben’s question sheds light on the type of problems that arise when state and federal policy makers fail to pay close attention to their language. The devil is always in the details. Do you have additional questions or comments for Dr. Fisher? Please use our Contact Form to connect.